I can’t understand why Fiverr is not moderating requests for fake TripAdvisor reviews. This activity is illegal in the UK and some other European countries. Yet again, we have an offer in ‘Buyer Requests’ for a seller to upload material supplied by a food outlet to a profile on TripAdvisor. Sooner or later, the authorities will pose as a buyer to catch someone out on Fiverr. Beware. While I am having a rant… Why should my delivery be marked as late if the buyer has not supplied the required information and declined my request for the order to be cancelled? I am not late, the buyer is! I understand why the buyer is late, it is for a very good reason, but I should not be penalised for it. I am starting to have second thoughts about Fiverr. Brighten my day with something positive, folks. Hotel, bar and restaurant owners across the world sometimes face withering online attacks. 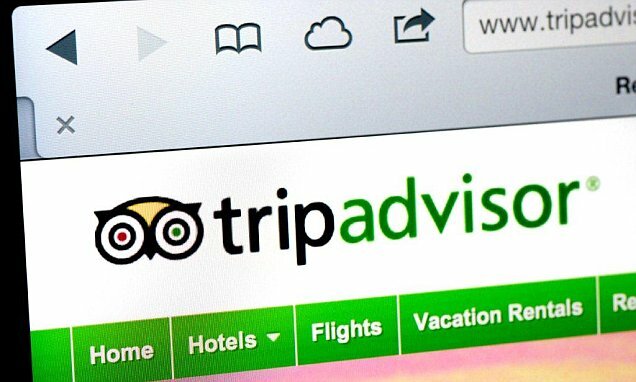 But on TripAdvisor they're allowed to strike back - and the results can be hilarious. There you go, Leicester gets a goal…Jamie Vardy again!